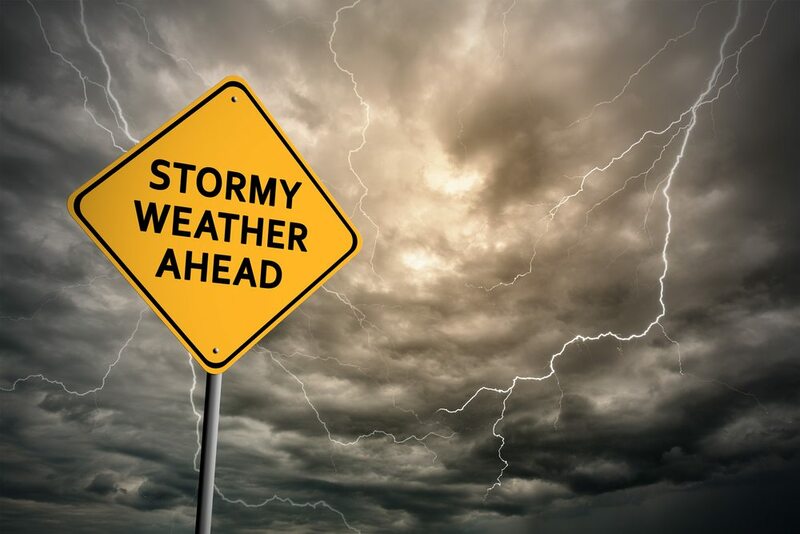 If Mother Nature didn’t do ample damage with heavy rains, lightning, and hail, get ready to weather another storm in the way of contractor scams. As if there wasn’t enough to deal with in terms of flooding, downed trees, torn-off shingles, and cracked siding, now you have to put your trust (and money!) in the hands of a complete stranger. Simply put: A lot. When you need a contractor to help you respond to storm damage, the goal is to find someone who is skilled, licensed, insured, and fits your budget. However, some of what you might be presented with by contractors that aren’t up to snuff is just the opposite. The result could negatively end in permanent property damage, stolen money, and legal risk. You might think, “I’d never get taken by a scammer.” Maybe that’s true. But in the interest of it’s better to be safe than sorry, beware of the following red flags to protect your personal, financial, and legal security. Out of towners: When a big storm hits, it’s not uncommon for storm restoration companies to travel to where their work is most needed. These companies are often reputable and sometimes partner with insurance claim departments in the area. An out-of-state address isn’t necessarily a warning sign, but any contractor that doesn’t have a business address or uses P.O. boxes or hotel addresses is definitely cause for pause. If you do decide to hire someone outside of the state in which you live, be sure you have in writing how the contractor will tend to any warranty repairs should they be needed. Too good to be true: Consider this scenario: Your insurance claim adjuster estimates the work for your hail-damaged roof to cost $10,000. Shopping around for a contractor, this amount is on point, except for one contractor who says he can do the roof for $8,000 and use the remaining $2,000 to replace a couple of old windows. Sounds enticing, right? Wrong. Not only is this considered to be insurance fraud, which could put you legally at risk, but also the low-balled price means the quality of the work and materials used will likely suffer. In the long run, going this route could end up costing you more. Cash only: Be on high alert if a contractor requires you to pay in cash or demands cash up-front. This contractor may be looking to swindle you out of your money without any likelihood of following up on the actual work. No estimate or contract: When working with any service provider, a paper trail is essential should any issues need to be resolved legally at a future date. Always request signed project estimates and work contracts before agreeing to move ahead with any storm restoration work. Missing essentials: There are three things every contractor should have: 1) insurance; 2) proper licensing; and 3) referrals. Ask for the contractor to provide proof of insurance and licensing, and request the names and contact information of at least three referrals. However, don’t forget to do a bit of your own legwork, too. Just as you wouldn’t select referrals from your enemies, a contractor is only going to show his or her best work. There are enough online review sites that might shed more light into the true nature of this contractor’s work history. Neglects protocol: You might be working with a scammer if he or she is looking to cut corners, such as not getting a permit if the work can be well-hidden, putting leftover supplies from another job to work instead of purchasing what is right for your home, and so on. You know the saying “go with your gut”? If something just feels off about a contractor, even in you can’t quite put your finger on it, trust the instinct. That may mean doing more homework to talk to contractors’ past clients or to read online reviews. Or it may mean abandoning one contractor in exchange for someone else. Storm damage caused by severe weather includes a wide range of property repair needs. Broken windows, torn and missing roof shingles, siding damage, and fallen trees, as well as total destruction, can occur. You can count on the DRS team of first responders to arrive on the scene when you call, prepared to safely secure your property and begin immediate damage cleanup and repair. When the damage requires it, you have the option to rebuild the areas of your property that will benefit from this type of restoration. DRS is fully certified in all areas of remodeling and construction, giving you the widest range of professional choices as you decide what course of action to take.